Gone are the days when we completely relied on local storage to upload our photos and important documents. Today the technology industry has taken a giant leap and people are now moving away from local storage to remote, server-based storage which is known as the cloud. This means that your full library be it music, videos, photos, documents or files which once used to be accessed from local media has now found dwelling space on the servers and can be accessed from the cloud. In the similar fashion, there are a plenty of files and documents in a housing society which are stored in a room or physical space. Using cloud to store these files can provide you great advantages such as anywhere-access and sharing, the reduction of local storage requirements and most importantly, secured storage. Whenever a new member rents a flat that he/she can immediately move to, the society must have and store the rent or tenancy agreements with them. Whenever there is a sale of a property or transfer of ownership of a flat, the society must have the sale deed documents in place for their records. 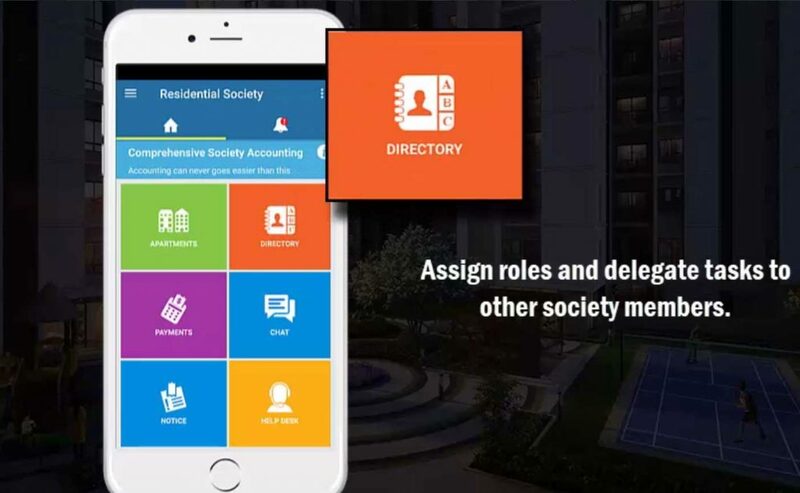 For a housing society management, it is important to have the listing of all units (flats) with built up and super built up areas and their intercom numbers. Other documents and records such as NOC from landlord and NOC from Flat Tenant when they leave also need to be maintained by the society committee. 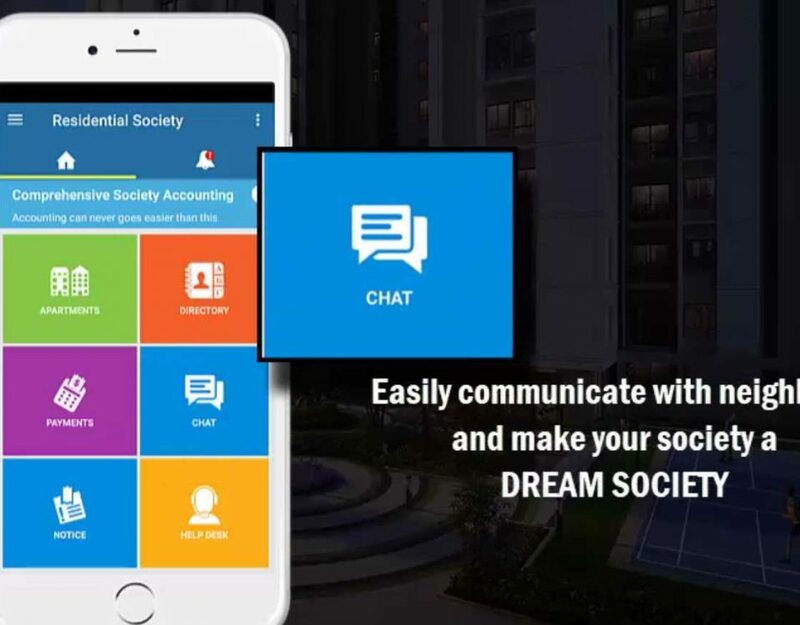 Society laws and society guidelines to be followed by the members, taxes paid by the society members, the receipts of income and expenses incurred by the society need to be stored safely by the society managing committee. 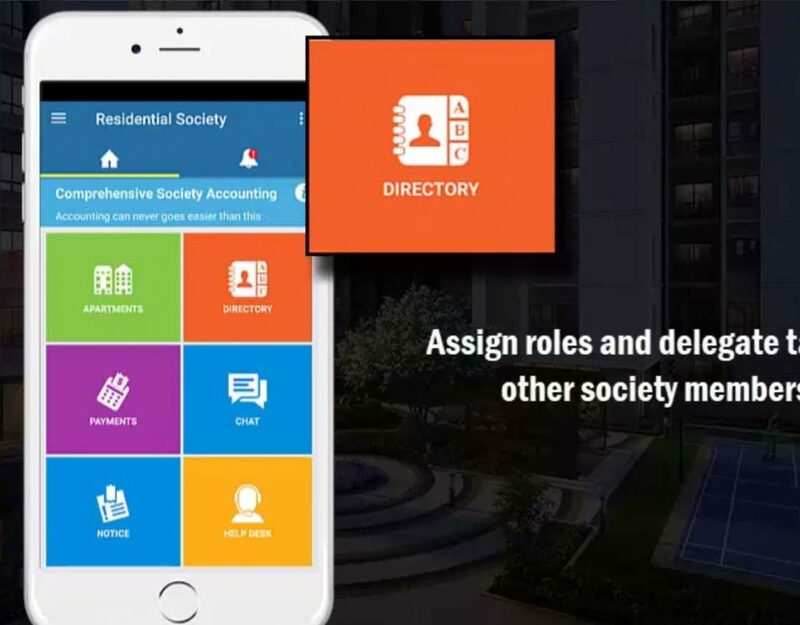 Important contracts between the society and apartment members, the society and its staff members and contracts between the society and its vendors need to be stored in a secured manner. Insurance policies and RD/FD account details of members are also maintained by the society. Now the most worrisome part when storing these documents is that all of these documents are stored as hard copies. The documents are stored in an office room or office premises in an unorganized manner. It is definitely a matter of concern when such important documents are lying around in the office room and are prone to high risk of being lost. There are high chances that these documents may get stolen, misplaced or burnt during any mishappening such as fire etc. Let’s walk through one of the best ways to get all of those documents organized and secured so you never have to wonder where they are. The idea is to go digital and go paperless! Yes, instead of storing documents in the room, the society should use Online Society Document Repository to store any document (soft copies). 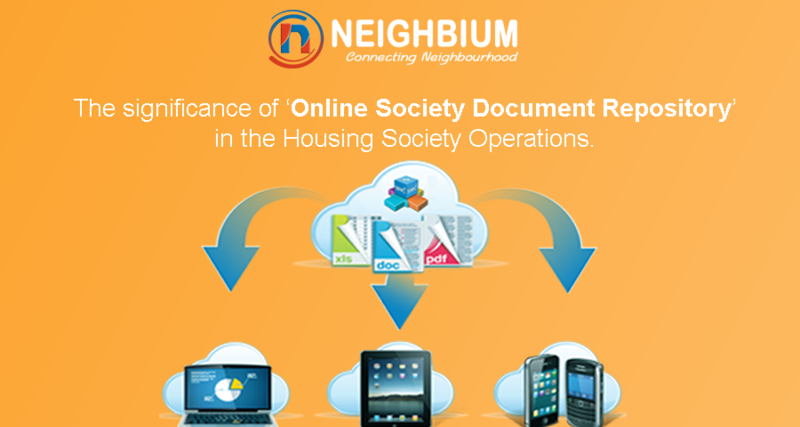 Neighbium is one stop shop society management software which provides ample and secure cloud storage to store these documents. If you often find yourself in a routine mess with so many paper documents around you to manage, it’s time to change the way you store them and instead use cloud servers offered by Neighbium. A ton of a data such as files and documents gets secured cloud storage. 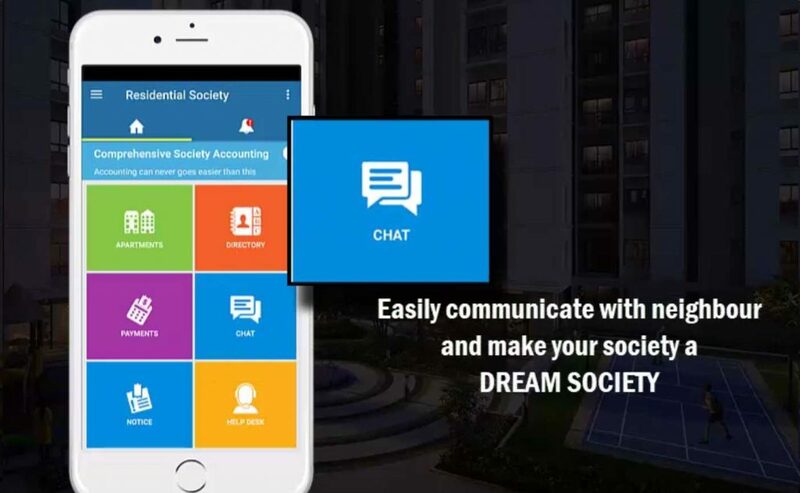 You and your society enter into a highly secure digital environment. 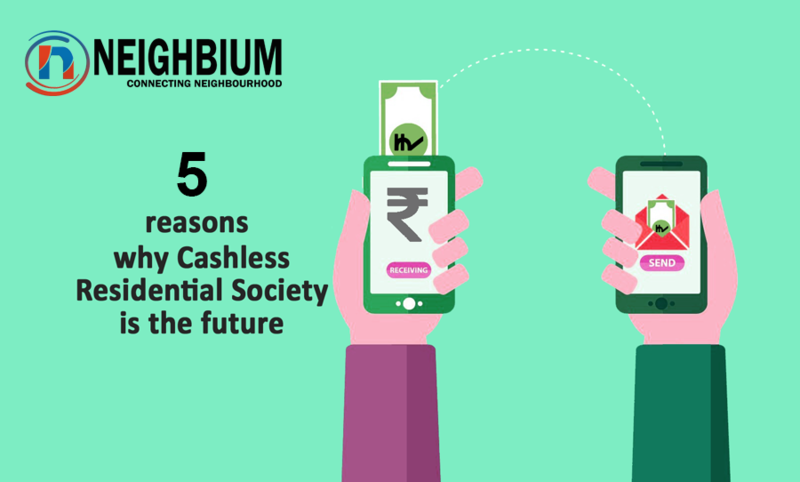 The society can access these documents online from any place at any time. Your files and documents are stored in an organized fashion rather than lying here and there in the office room. Landlords can store photos and soft copies of tenant agreements online. You get the Easy-to-use interface and it is easy to upload and store documents using Neighbium cloud storage.